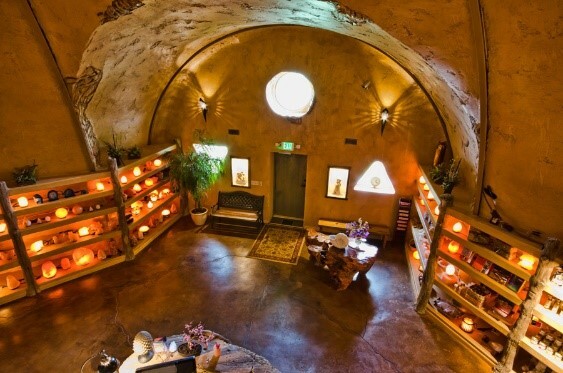 Located in White Sulphur Springs, the Salt Cave and Spa offers lots of pampering. With diverse options, caring specialists and the purest of products, the spa creates a lasting impression in both relaxation and health renewal. All this is set in a unique earth friendly underground man-made cave. One of the most energy efficient types of structures known to date. Descend 120 feet below the Earth’s surface into a vast wonderland of stalactites and stalagmites. 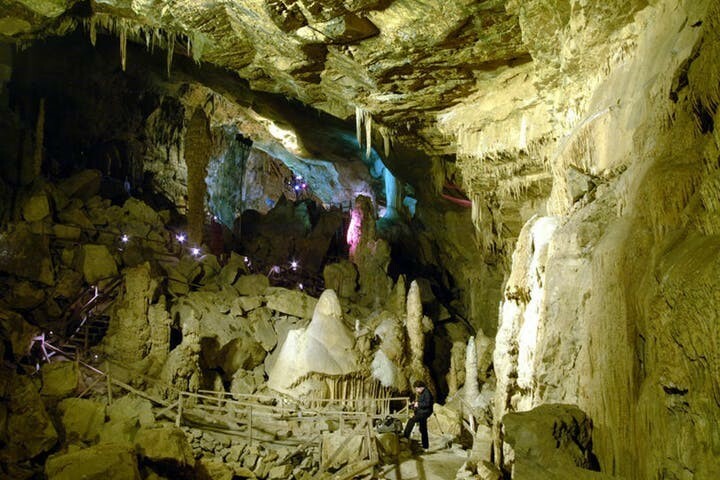 Lost World Caverns, discovered in 1942, is a truly magical place for explorers of all ages. Located in Lewisburg, the caverns take approximately 45 minutes to walk through and offer self-guided tours. Information signs provide details about the many different formations on the half-mile loop trail. No matter the temperature on the outside, the cave always remains a constant 52 degrees. A light jacket and good shoes are recommended. Explore the lives of Greenbrier Valley residents at the North House Museum in Lewisburg. 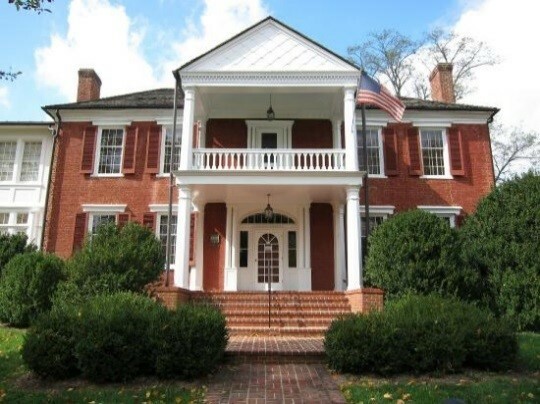 Built in 1820, the North House was the home of local lawyer John North and his wife Charlotte for more than a decade before becoming James Frazier’s Star Tavern and Inn. At the turn of the 20th century, the North House became the home of Dr. Robert Telford, President of the Greenbrier College for Women. The Greenbrier Historical Society has operated within the North House since 1976 and has owned the building since 1992. Today, the museum’s permanent displays and temporary exhibits feature items from across the Greenbrier Valley, including the training saddle of General Robert E. Lee’s horse, Traveller, an 18th century covered wagon, Civil War artifacts, and furniture made by local craftsman David Surbaugh, as well as original items from the North family. From early settlements to the Civil War and beyond, the lives of everyday Americans can be experienced at the North House Museum. The Greenbrier River Trail is a 78-mile former railroad now used for hiking, biking and horseback riding. It is the longest trail of its kind in West Virginia. 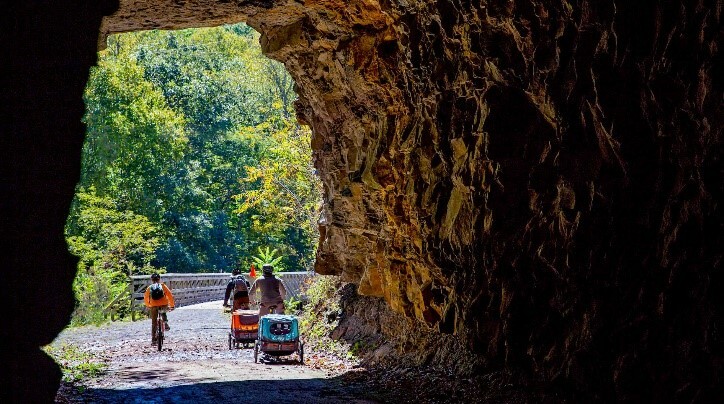 The trail provides many breathtaking views as it passes through several small towns, crosses 35 bridges, goes through two tunnels and cuts through some of West Virginia’s most remote areas. The Greenbrier River Trail is one of 50 Millennium Legacy Trails in the United States, and was rated one of the top 10 hiking trails in the country by Backpacker Magazine. Part of the Greenbrier River Trail lies within a National Radio Quiet Zone so cell phones do not work. There are multiple ways to enjoy the outdoors, such as, biking, fishing, hiking, and horseback riding. The start of the trail is a short distance by car from The Greenbrier. 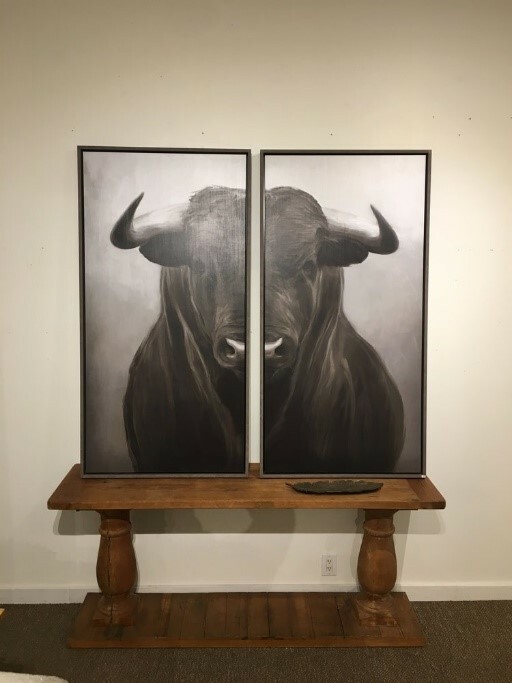 Harmony Ridge Gallery, located in Lewisburg, is only 15 minutes from The Greenbrier, proudly shows the creations of over 250 American artists and companies. It offers the unique and fashion inspired, functional and decorative, indoor and outdoor, home décor and gifts of quality and value. As you explore, with a glass of wine in hand, you will see casual and elegant jewelry, whimsical garden art, beautiful pottery, fashionable purses, wooden cutting boards, wearable scarves, wooden treasure boxes, loads of whimsical and sentimental cards, fun and serious wall art and the list goes on. At every turn, you’ll discover something inspiring! The river is not new. It is one of the oldest rivers in the world, older than the Appalachian Mountains themselves. Here at the gorge, the river cuts through the Appalachian Plateau. Human history, wild habitat, and spectacular natural beauty converge in this protected stretch of the New River and its extended family, the Bluestone and Gauley rivers. Famous for sport fishing and whitewater rafting, the rivers and their surrounding landscape offer hidden delights for those who venture off the beaten path such as coal mines that fueled the age of steam, rails and roads that opened this remote country to industry, trails that lead you to a blanket of spring wildflowers or a limitless horizon. This national park is located just over one hour from The Greenbrier. Walk the half-mile boardwalk and explore the unique plant species that surround the Cranberry Glades Boardwalk. 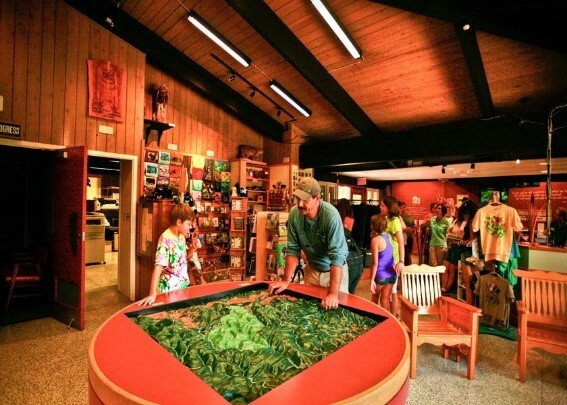 Stop in and experience the Cranberry Mountain Nature Center, where you can learn more about what makes the area similar to bogs located in areas of the Northern Tundra. 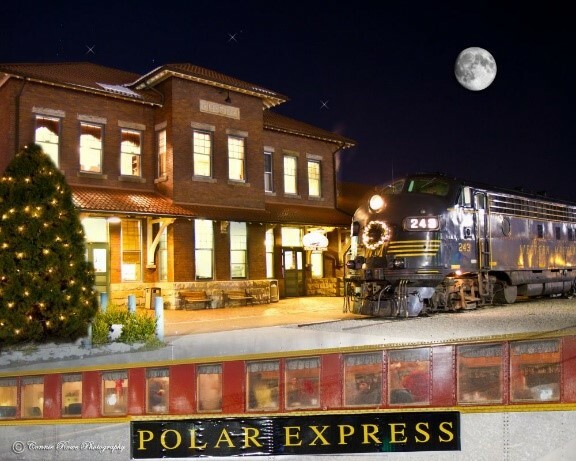 It is located just over one hour from The Greenbrier.